There was a time when tie-dyed garments were geared toward the hippie, not the hipster, but how times have changed. As of late, tie-dyed garments have made their way into the closet of many a fashionista. With labels like: Raquel Allegra, Red Valentino, TopShop, Current Elliot and Elizabeth & James, just to name a few, introducing chic collections featuring this retro pattern, it is certainly no surprise. 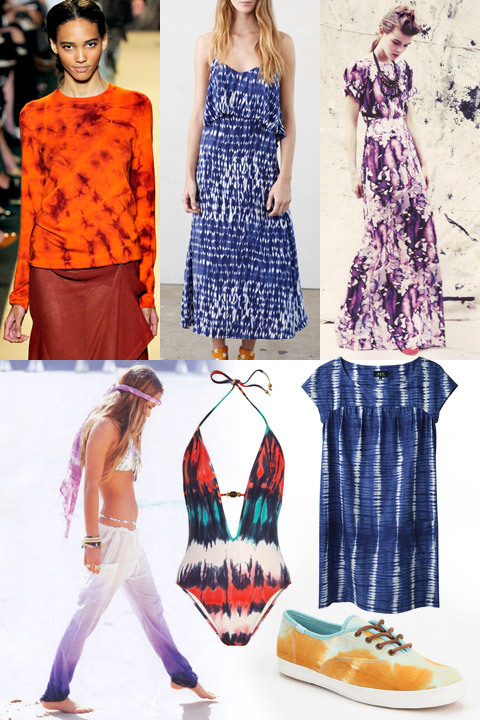 Summertime and tie-dye go hand in hand, so what are you waiting for? Hit up your local resale shop or start fresh with a piece or two from the many designers offering up this reworked trend. Although reminiscent of the 70’s and our dear, precious grandmothers, crochet and macrame are making a strong comeback into the world of fashion. The reinvention is far removed from the retro version of the past. 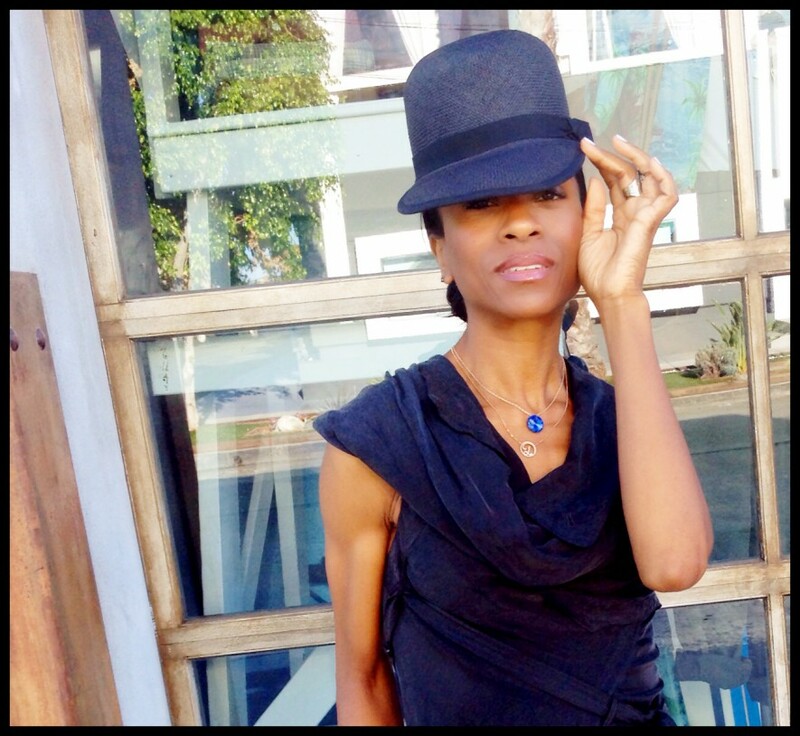 There is a sleek sophistication to the pieces, in everything from belts, shoes and hats to bathing suits, sleek dresses and tops. 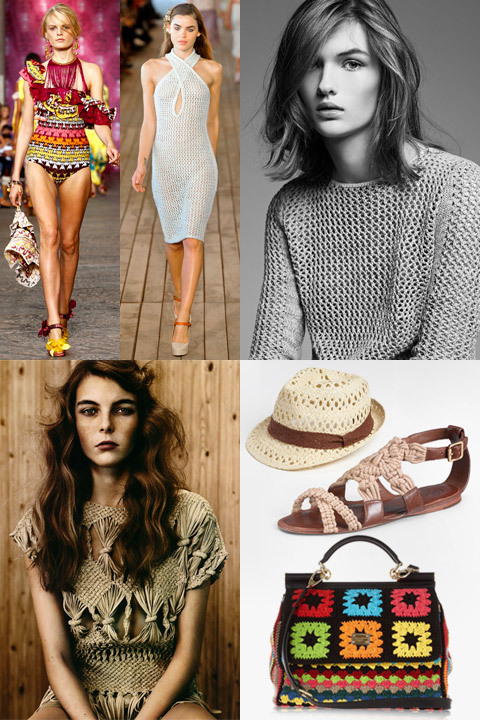 The look of crochet and macrame is delicate and feminine, and with designers such as: Chloe, Lisa Maree, Etoile Isabel Marant, and M Missoni introducing their respective interpretations on this trend, crochet and macrame may be the season’s ‘must have’ for the closets of the fashion forward near and far.